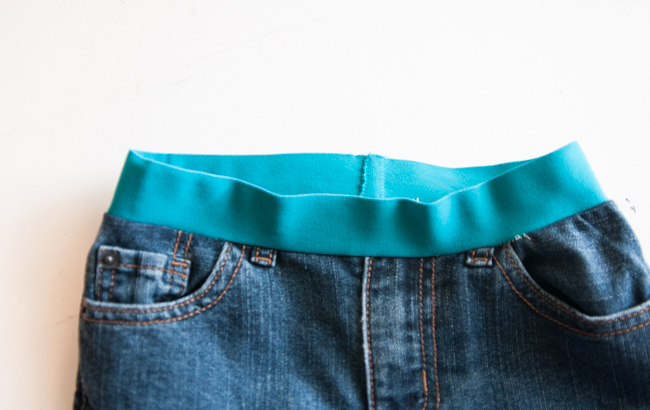 Adding a Soft Waistband to Jeans - Peek-a-Boo Pages - Patterns, Fabric & More! My son Connor has Asperger’s Syndrome. 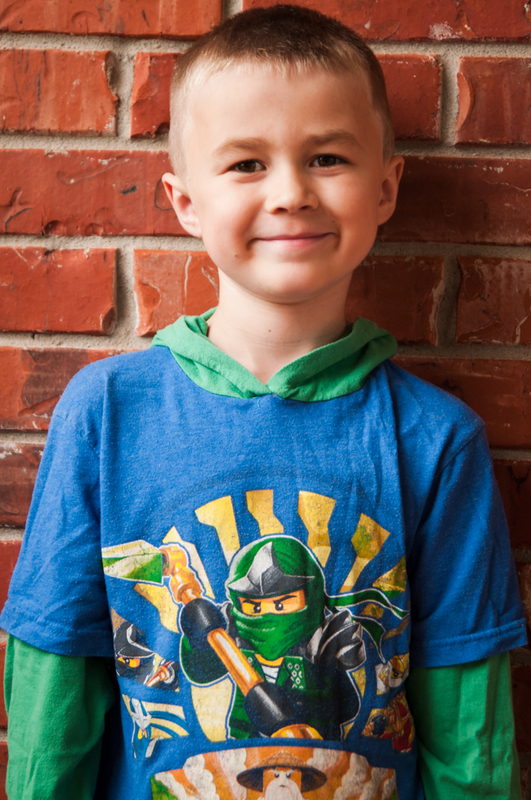 It is a form of Autism that manifests itself in new ways every.single.day. 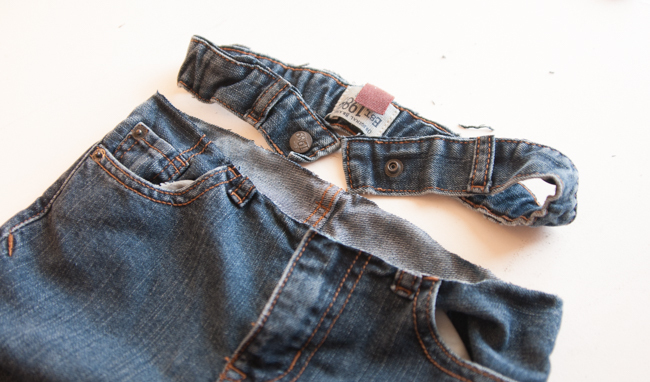 Recently, Connor has sworn off jeans…right after I bought six pair. Of course. 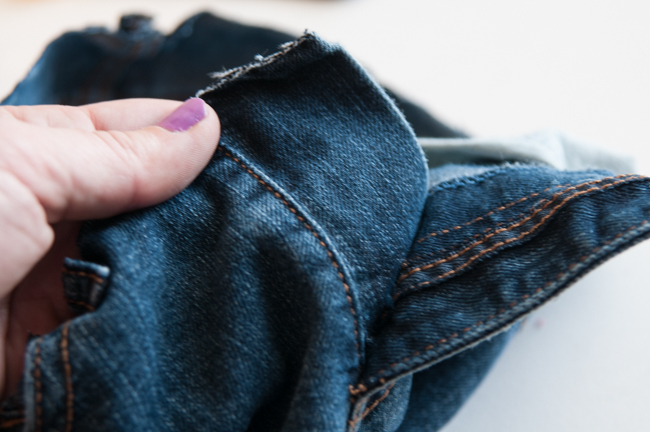 It turns out his tactile sensitivity was on overload because his little body could feel every single part of the waistband, zipper, and snap. I know what it’s like to itch from a tag, but I can’t even imagine being able to feel every part of my clothing all the time. So, in a mad dash to fix the waistband problem I went searching for jeans that had a knit band instead of a traditional waistband. I had seen them before, but for whatever reason the only pair I could find was $30. 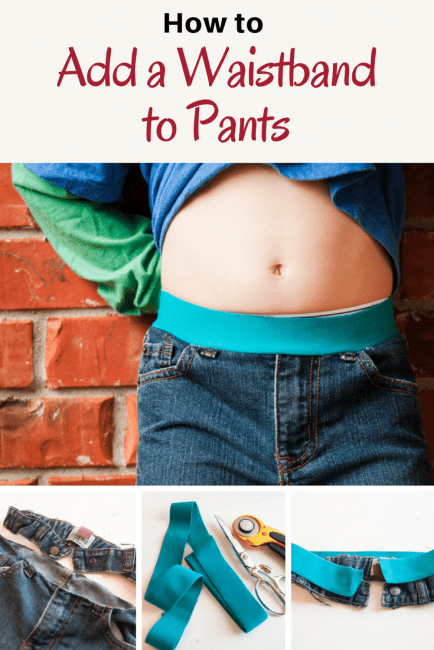 For a kid that is constantly busting holes in pants, $30 a pair would put us in the poor house! Enter Mama’s $2 fix! 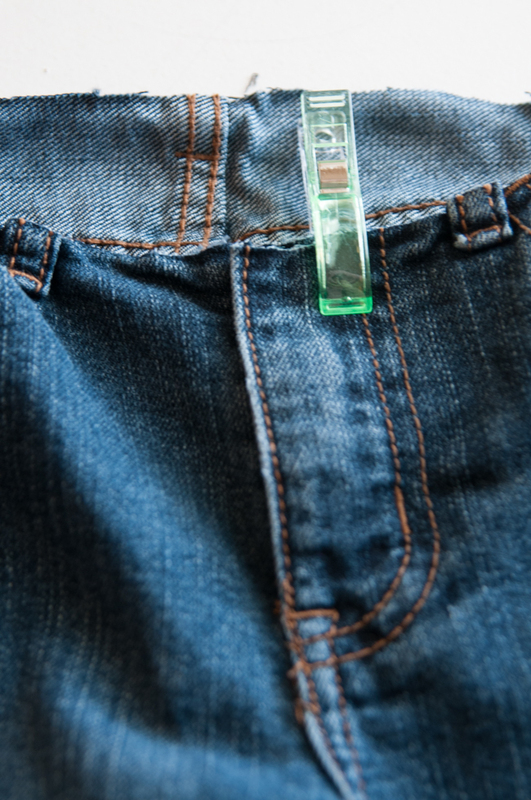 If your jeans have an adjustable waistband, make sure they are tightened to the most comfortable fit. 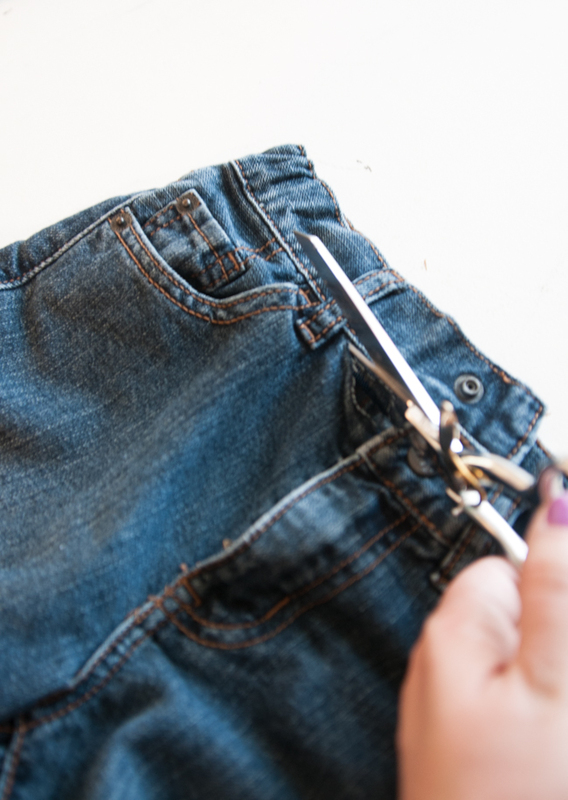 Grab your scissors and begin by cutting the waistband off the jeans. Set aside. 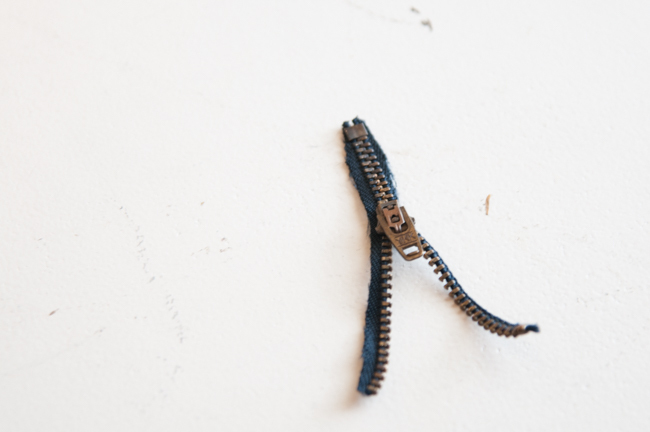 Open the fly and cut out the zipper. 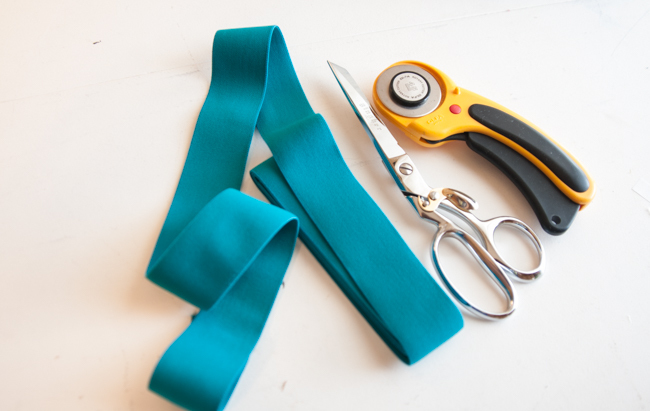 Go slow and be careful to not mess up your fancy sewing scissors by cutting the metal. Grab your pins or clips and close the fly. 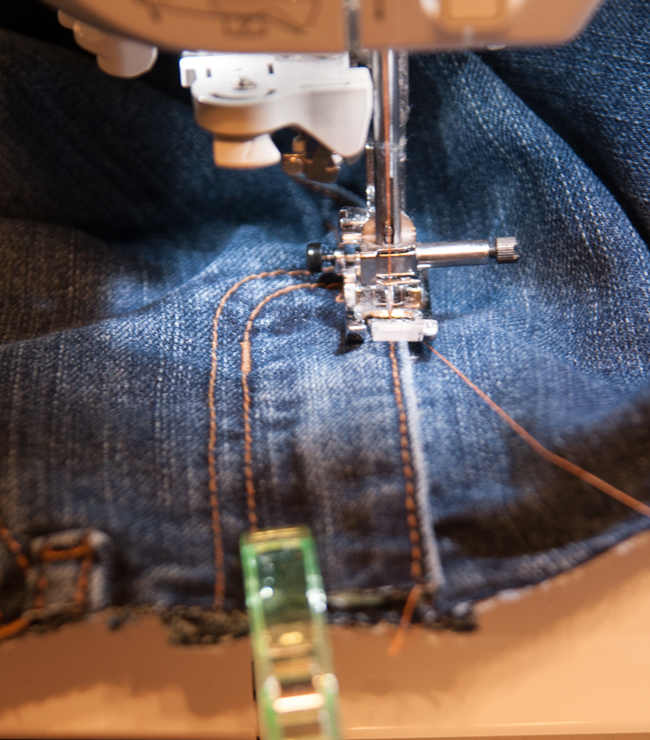 Load your sewing machine with either denim thread or match the jeans. I had an orange that was pretty close to the denim thread color used on these jeans. You will sew the fly shut making sure the inner flap is down flat. You may need to follow the curved part of the flap to be sure it lays flat on the inside. 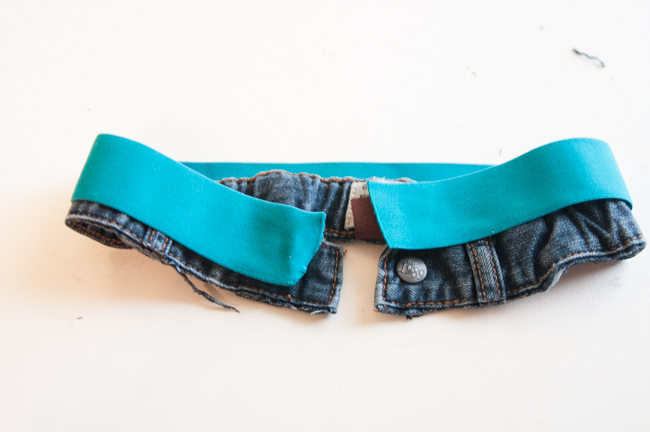 Get your waistband and cut a piece of waistband elastic the same length as your denim waistband. 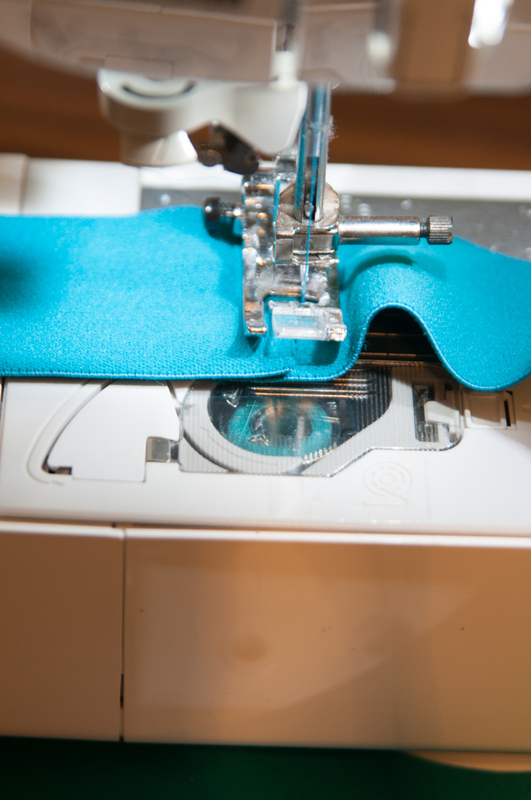 Overlap the ends by half inch making a loop. 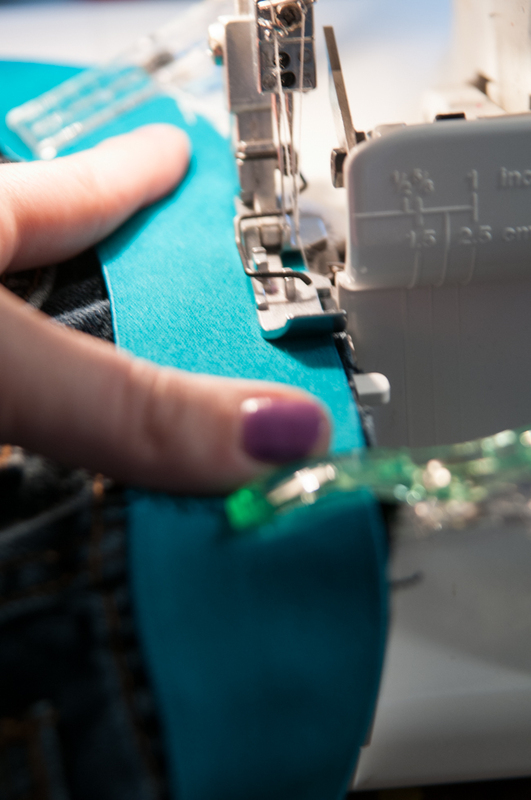 Sew the ends together using a zig zag stitch. Once you have your loop trim the threads. We are now going to pin the band to the pants. 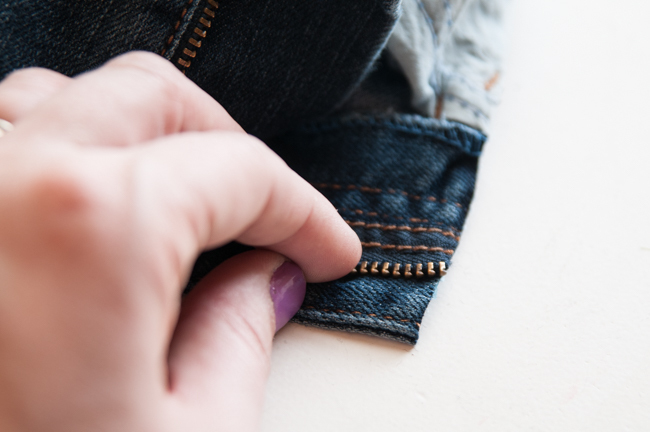 Put the seam in the elastic at the back of the jeans. 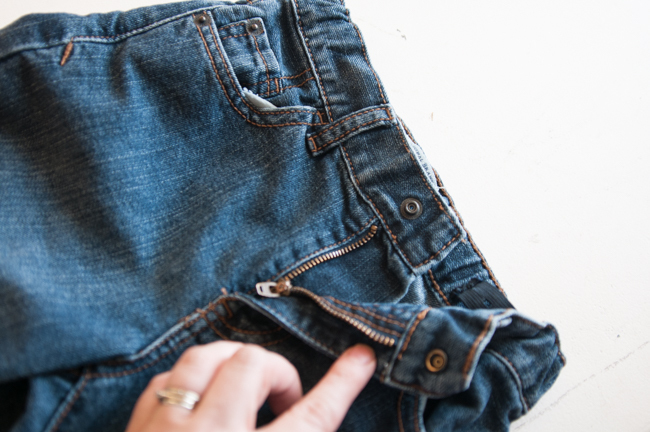 With right sides together (if your elastic has a design) pin the elastic to the jeans. It is best to think of your elastic in quadrants. Pin the middle back and then go to the middle front and line it up with the fly. Find one side’s middle and pin it and do the same on the other side. 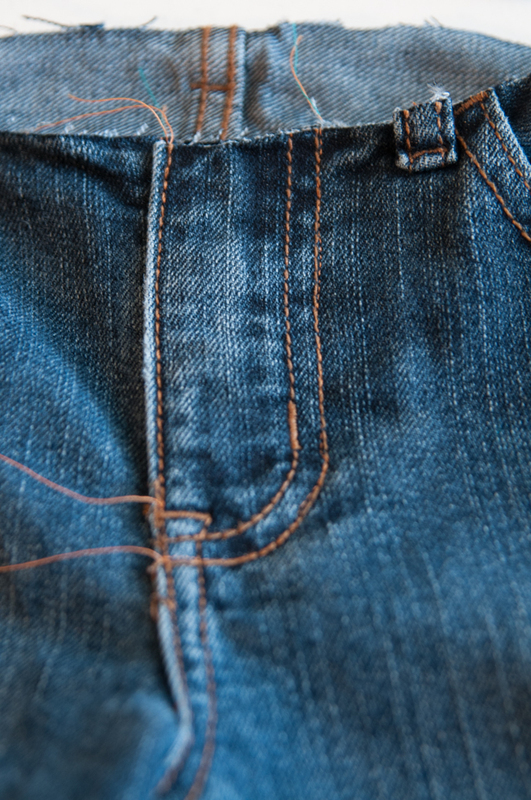 You may have some gathering in the denim at this point and that is okay. Just make sure it is even. Wipe the sweat from your brow and pat yourself on the back! 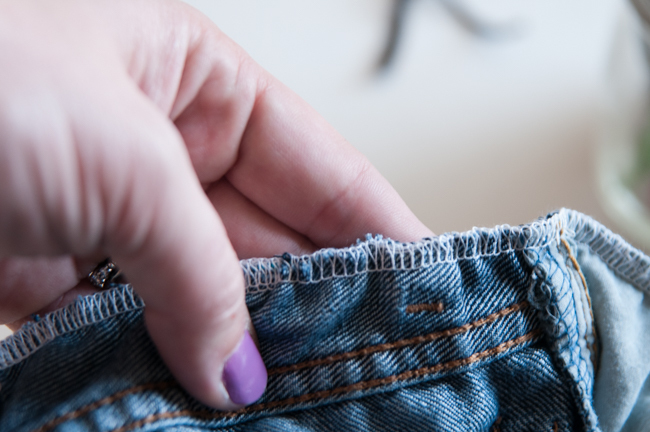 Trim your threads and hit the waistband with a steam iron to get it to shrink up a bit. Well done! Previous Post: « Malibu One-Piece Swimsuit Pattern Release! Thanks for the tutorial! 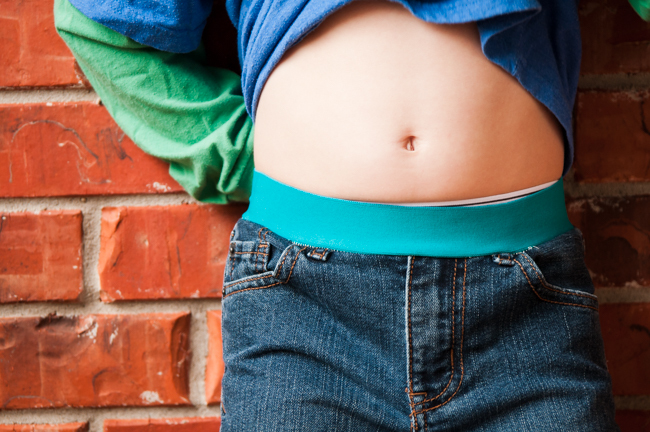 My son stopped wearing his jeans because the waistband was too uncomfortable. 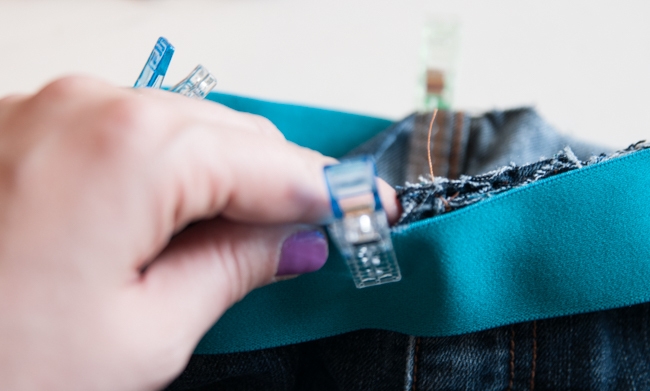 We have to buy for length and after we tighten them in to fit his waist they are rough. I remembered seeing this tutorial when it posted and thought it was a cool idea. The elastic is so soft! I just fixed two pairs of my sons jeans so he could wear them this next week and he LOVES them! Excellent tutorial! I will say that I didn’t bother with the belt loops. I just used my seam ripper and removed them completely so I didn’t have to fool with them. 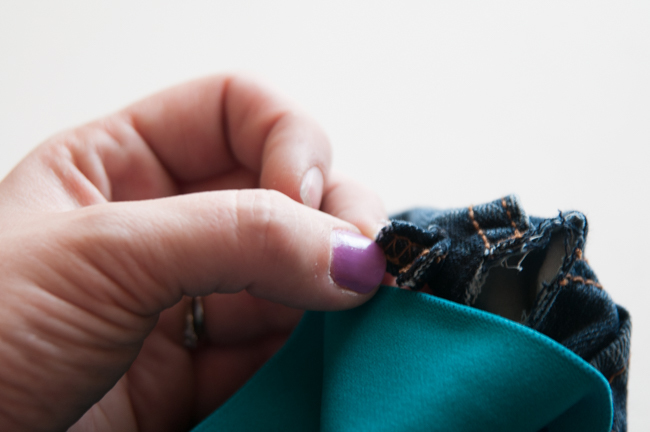 One pair of jeans had a rivet holding the pocket to the jeans so my husband removed those for me. 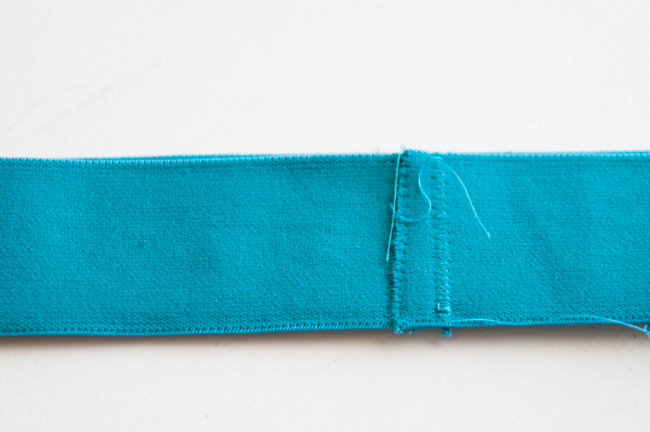 I now have extra packs of the elastic on hand for when we have jeans and I need to alter them! 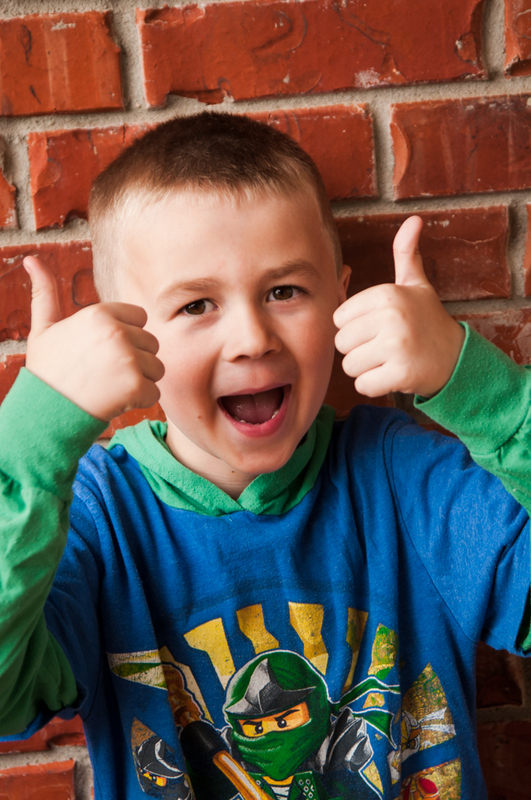 Great tutorial – and glad your son was happy. Fights about trousers are a daily event at our house too! 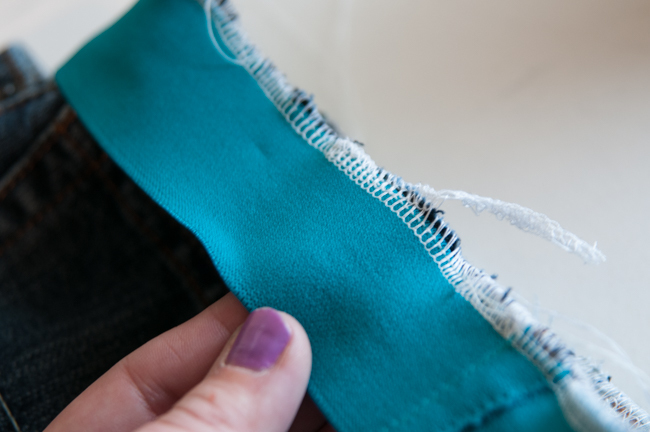 A little tip- baste the elastic in with a long straight stitch before sending it through the serger. 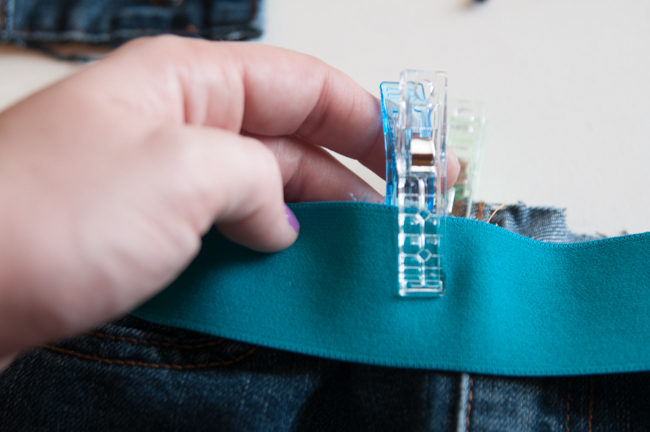 Then you can use pins which work better when you have to stretch the elastic and it doesn’t slip around so much in the sewing machine. Then serge over your basting stich, goes quickly and easily. I do this for neckline bands as well. Thanks for the great idea. I am going to try it for my 80 year old mother. 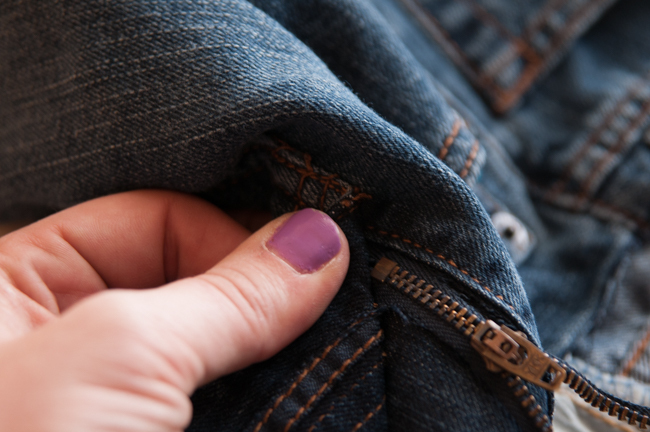 Her arthritis prevents her from wear a lot of her pants because of a stiff zipper or button holes. How did this work out? 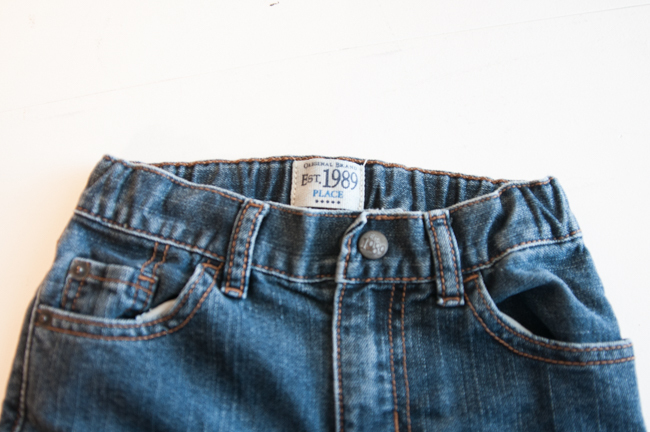 I have some jeans that I want you try this on.